Dr Unitt lived in The Croft on Soar Road, the house was built in the eighteenth century. 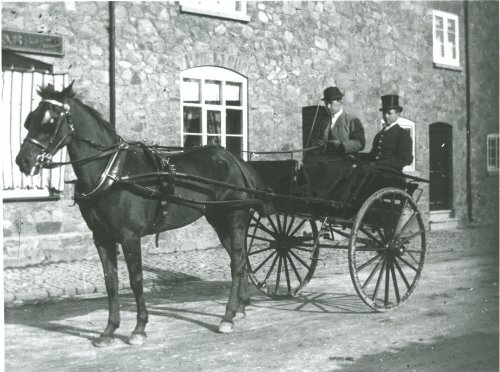 Like many general practitioners at the beginning of the twentieth century he made his rounds in a horse-drawn trap being driven by a groom who wore a smart livery with a bowler hat (holding the reins). The footway visible at the roadside was made from granite sets probably quarried in the parish. Dr Unitt took an active part in the life of Quorn and his concern was commemorated in the road that bears his name.